One of the enemies of the wine lover is time. The greatest wines in the world are meant to be aged, to be given the time to allow oxygen, and who knows what else, to work their magic on young wine. The edges smooth out, the texture turns silky, flavors gain nuance, depth and complexity. It’s magic in the bottle, though nobody can fully explain what happens in that bottle. While wine lovers tend to be a pretty geeky crowd, I know that many (if not most) of us aren’t nearly as interested in the how’s as we are in the what’s. Give us your finely aged wines and we’ll be a bunch of happy campers. Of course, knowing which of your bottles are ready to drink, which are past peak, which need more time and which are just trashed is a mystery that can only be solved by pulling the cork and drinking the wine—until now! We’re thrilled to be the first to announce a new, groundbreaking technique for wine lovers: AmmazzaVino vacuum dehydration storage! AmmazzaVino founder and CEO Gianni Brunellopolis sat down with me recently to discuss the advantages of AmmazzaVino, and how it’s going to revolutionize the wine collecting world. 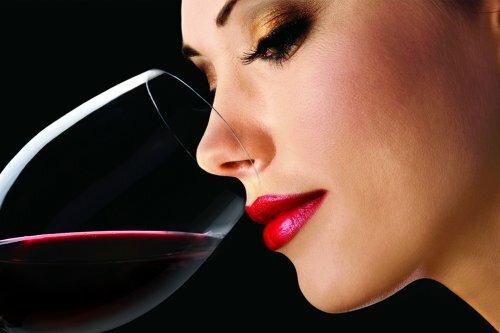 How to really taste wine. The past few weeks have put me in situations where I’ve been called upon to talk about wine. I’m not a shy sort, so such occasions are fine with me. For example, I was recently in Seoul hosting a wine dinner. Now, there’s all sorts of nonsense making the rounds about Asians and wine. Some of this talk is even put about, I gather, by Asians themselves in the mistaken belief that because they’re not Western they can’t readily grasp the fine points of wine. So when I stood in front of 65 people at the wine dinner in Seoul, all but a few of whom were Korean, I was politely blunt. I said that being a newcomer to wine was just that. It transcends culture. Being Asian was meaningless. Everybody is a newcomer to fine wine at some point in their lives, and that includes Europeans. I went on to say that 40 years ago we Americans were collectively as ignorant about wine as any group of Asian wine newbies. And that we generated our own horror stories of rich guys who swaggered around insisting that they only wanted the “best” and that they didn’t care what it cost. Then I asserted that talking about wine doesn’t involve flavor descriptors. This, it turned out, was the real jolt. I could sense the surprise when I said it. I, in turn, was myself surprised. We all know, of course, how this I-Spy game of ever more precise-seeming associations of scents and tastes—coffee, chalk, bergamot, road dust and so forth—came about. It was we wine writers who did it. And we then did yet more of it as wines from everywhere increased exponentially. You, the reader, want to know what a wine tastes like. And someone saying, “This here wine tastes really good,” is hardly going to satisfy. With thousands of wines a year to review, writers had no choice. How many times can you describe a Pinot Noir as being “cherry-scented”? So you get more specific, summoning up black cherry, wild cherry, pie cherry, maraschino cherry, cherry jam and cherry liqueur. There’s nothing wrong with this and I, for one, will happily defend my colleagues in the tasting-note trenches. That said, anatomizing the scents and flavors of a wine hardly tells the whole story. Nowhere is this more true than during a wine tasting such as the one I was doing at the dinner or, earlier, at two training sessions for the hotel’s eager-to-learn restaurant staff. So how should you talk about wine? Every taster is different, and I’m not about to say that the following features represent the entirety of what could or should be examined and discussed.